Our next dinner and reception will be NEXT SUNDAY, April 2 at 6pm. Mark your calendars! We will be hiring one or two West House Interns (approx. 5 hours per week each) to work on publicity, events, and other activities for the House. Thanks to those who already expressed interest! Application details will be available shortly and we hope to hire an intern(s) this week: if interested, please email Ryan.C.Hickox@dartmouth.edu for more information or details on how to apply. The schedule for House Professor’s Teas is available here. Fahey Lounges, the Hyphen, study rooms, the Russell Sage “Cage” — West House has many common spaces and your House leadership is thinking about these can be best utilized for the West House Community. Have ideas for how we could best use the spaces? (a library, a cafe, a music studio, etc.?) Come join us for a discussion! We’re still finalizing a number of our HP Tea guests for this term; you have an idea for guests or discussions (or would like to lead a Tea yourself! ), please let us know. We’ll be using one or two of the Teas to highlight research by West House students, and in particular senior theses! If you’d like to present your work, please contact Ryan.C.Hickox@dartmouth.edu. Over the past term we’ve had a wonderful time hosting the West House first-year floors for dinner at the HP’s Residence on Webster Ave. This term we’d like to extend this to all student groups: For any Westian who is a member of a student group (musical group, sports team, activist group, outdoors club, anything!) and would like to extend a dinner invitation to your group (including all students, not just West House members), please contact Ryan.C.Hickox@dartmouth.edu. (Note that the most we can host our residence is about 25 or 30). Looking forward to seeing you in our home! We’ll be continuing House IM sports this term – it’s looking like there will be House leagues in volleyball and potentially softball and/or kickball. Watch this space! For Spring term we’ll be doing an order for more House merchandise; current ideas are fleeces, hoodies, T-shirts, baseball hats, PJ pants, and blankets. Every Westian will be able to order the specific item and size you like. The order form will be available soon! The House Council is currently in the process of setting up a full design process for official insignia for all six Houses, and we’re looking for your input on the official design for West House. We already got some ideas from the design submissions last spring, and will be looking for more by early/mid-April to include in the official design process. Of course, if you like our interim “elm tree” symbol (below) please let us know that as well, as we could possibly go with something similar for the final insignia. All ideas will be considered — watch this space! Grammy-winning violinist plays probing interpretations of Bach, Mozart, Schubert and more. Our first Exec Board meeting of the term will be TONIGHT at 8:30pm in the McLane Seminar Room, to set the plans for the rest of term. This term we will be holding elections for the student Exec Board for 2017-18, to be run in concert with the SA election process. If interested, keep an eye on this space! A regular feature of life in West House is House Professor’s Teas, in which we get together refreshments and discussions on a wide range of topics of interest to our community. We’ll often host distinguished guests or our expert faculty and staff. Unless otherwise noted the House Professor’s Teas will take place in Fahey 1st Floor Lounge on Fridays from 4:30 to 5:30pm. Prof. Hickox is the House Professor for West House and an astrophysicist, with expertise in the cosmic evolution of galaxies and black holes. He teaches several astronomy courses at Dartmouth and is involved in multiple NASA space observatory missions. His research is funded by NASA and the National Science Foundation. Prof. Nyhan is a Professor in the Department of Government at Dartmouth College. 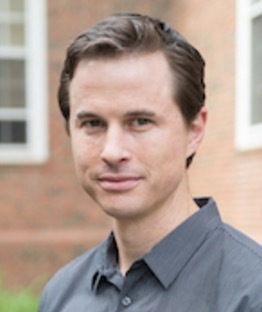 His research, focuses on misperceptions about politics and health care. He is a contributor to The Upshot at The New York Times (March 2014-). Prof. Kotz is the Champion International Professor in the Department of Computer Science at Dartmouth College and an affiliate of West House. 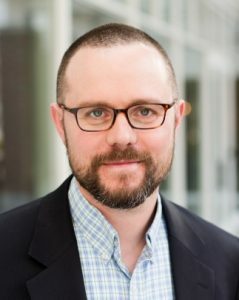 He recently served as Associate Dean of the Faculty for the Sciences for six years and as the Executive Director of the Institute for Security Technology Studies for four years. During the 2008-09 academic year he was a Fulbright Research Scholar at the Indian Institute of Science, in Bangalore India. His research interests include security and privacy, pervasive computing for healthcare, and mobile computing. 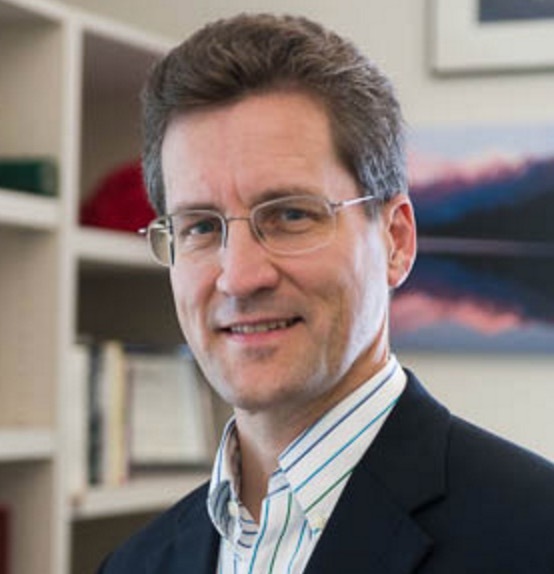 He has published over 100 refereed journal and conference papers and obtained over $65m in grant funding. He is an IEEE Fellow, a Senior Member of the ACM, a member of the USENIX Association, and an elected member of Phi Beta Kappa. Scott Listfield ’98 is known for his paintings featuring a lone exploratory astronaut lost in a landscape cluttered with pop culture icons, corporate logos, and tongue-in-cheek science fiction references. Scott grew up in Boston, MA and studied art at Dartmouth College. After some time spent living abroad, Scott returned to America and, shortly before the real life, non-movie version of the year 2001, began painting astronauts and, sometimes, dinosaurs. At the Tuck School of Business at Dartmouth Matthew J. Slaughter is the Paul Danos Dean and the Earl C. Daum 1924 Professor of International Business. 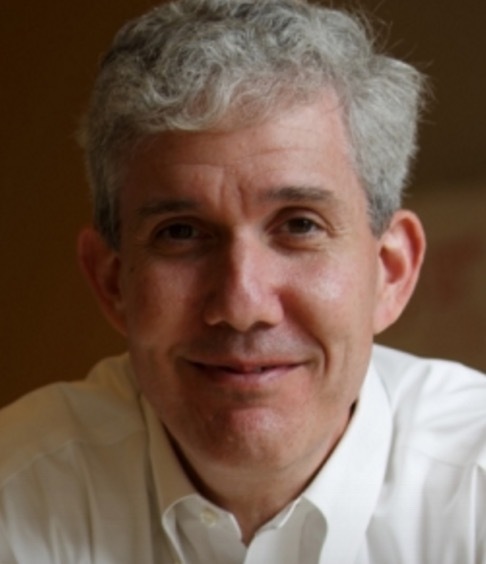 Dean Slaughter’s area of expertise is the economics and politics of globalization. Much of his recent work has focused on policy responses to the World Financial Crisis; on the global operations of multinational firms; and on the labor-market impacts of international trade, investment, and immigration. From 2005 to 2007, Dean Slaughter served as a Member on the Council of Economic Advisers in the Executive Office of the President. In this Senate-confirmed position he held the international portfolio, advising the President, the Cabinet, and many others on issues including international trade and investment, currency and energy markets, and the competitiveness of the U.S. economy. How hard is it to pay off all that debt? What is the work load really like? How much sleep will I get? Are you sacrificing your 20s to get that degree? Panelists will include Dr. Leslie Henderson, PhD and PhD and Dean of Faculty Affairs at Geisel, Dr. Martha McDaniels, MD, a vascular surgeon, as well as dual degree med students working toward their MD/MPH, MD/MBA, or MD/PhD. Event will be from 4:30-5:30pm in Fahey 1st floor common room. Feel free to bring friends. RSVPs to sophie.l.leung.med@dartmouth.edu are appreciated to get an approximate head count but not required. Prof. May is a Professor in the Thayer School of Engineering and an affiliate of West House. Her research includes studies of engineering education and seismic engineering. 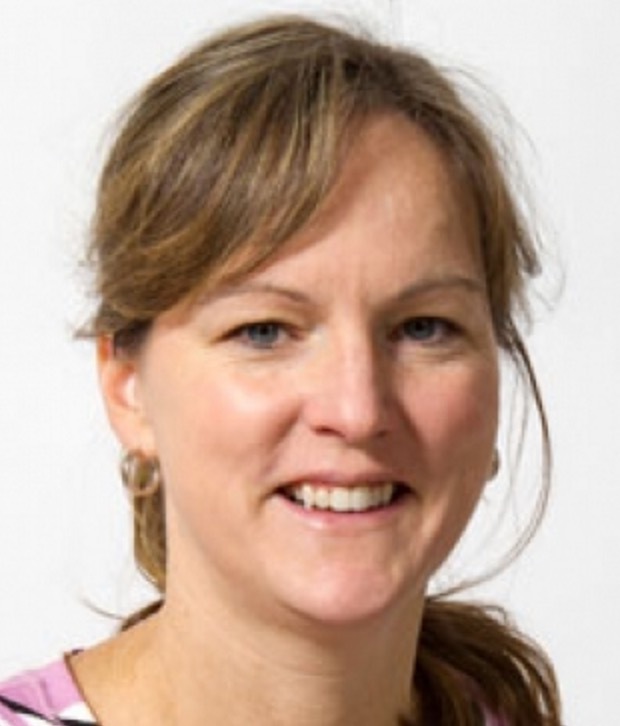 At Dartmouth her courses include the popular introductory courses ENGS 11: The Way Things Work – A Visual Introduction to Engineering, and ENGS 21: Introduction to Engineering. We had a wonderful Community Dinner and Wine & Cheese Reception last Sunday, and made good work of a delicious Italian dinner for 150! was Our next dinner and reception will be the first Sunday back in the Spring term (Sunday, April 2). Mark your calendars! Up late studying and don’t feel like going out in the cold? Come get a boost at the West House CEREAL BAR! in the HYPHEN (between Butterfield and Russell Sage) courtesy of your House Exec Board. We’ll keep it stocked throughout finals period. Milk, soymilk, and almond milk are in the fridge. Please keep the space clean and offer suggestions any additional cereal flavors. Happy Finals! Starting Spring term we will be looking to hire one or two West House Interns (approx. 5 hours per week each) to work on publicity, events, and other activities for the House. A full job listing will be available soon; if interested, please feel free to email Ryan.C.Hickox@dartmouth.edu for more information or details on how to apply. We’re currently scheduling House Professor’s Teas for next term. If you have an idea for guests or discussions, please let us know. We’ll be using one or two of the Teas to highlight research by West House students, and in particular senior theses! If you’d like to present your work, please contact Ryan.C.Hickox@dartmouth.edu. For Spring term we’ll be doing an order for more House merchandise; current ideas are fleeces, hoodies, T-shirts, baseball hats, PJ pants, and blankets. Every Westian will be able to order the specific item and size you like. Watch this space! In the spring term we will be holding elections for the student Exec Board for 2017-18, to be run in concert with the SA election process. If interested, keep an eye on this space! There will be no Exec meeting this week during Finals. House Professor Ryan Hickox and his family host a number of dinners at the House Professor’s Residence on Webster Avenue. These include weekly gatherings with West House first-year floors, meetings of the House leadership team, and concerts and discussions with visiting artists. West House was well represented at Winter Carnival 2017! 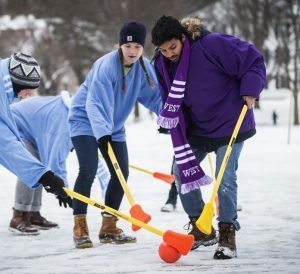 On Saturday the House competed in broomball on the Green (here in action against School House). And we took part in the Polar Bear Swim with a warm-up station and custom West House towels over the House Professor’s Residence at 18 Webster. Your intrepid House Professor even braved the frigid waters himself! COMMUNITY DINNER / WINE & CHEESE RECEPTION TONIGHT! Our final West House Community Dinner of the term will be on TONIGHT, March 5 in the Fahey Lounge. We’ll once again begin with a wine & cheese reception at 5pm (with soft drinks, as well as beer, wine, and cider available for 21+), followed by a dinner at 6pm catered by Three Tomatoes Italian. See you there! We had a very enjoyable and interactive HP Tea this past Friday with Prof. Vicki May of Thayer. We had a fascinating discussion about engineering, and got to build our own “tensegrity” structures to learn about the concepts of tension and compression. Keep an eye out for the schedule of House Professor’s Teas coming up in the spring term. We had great enthusiasm for the West House fleece sweatshirts that became available on Wed afternoon – they were all gone within 30 minutes! Westians are clearly now the best-dressed House members on campus. If you didn’t get one, don’t worry, for spring term we’ll be doing an order for more House merchandise (sweatshirts, long-sleeve T’s, hats, etc.) and every Westian will be able to order the specific item and size you like. Watch this space! West House has available free tickets for House members to attend world-class performances at the Hopkins Center each term. Please see below the list of upcoming performances; a full list of shows for this term is available here. If you’d like tickets, please contact Pamela at Pamela.K.Duffy@dartmouth.edu. Hop pianist-in-residence performs solo works from Schumann, a meditative Bach partita and more. Our next Student Exec Board meeting will be TONIGHT at 8:30 in the McLane seminar room. All are welcome to participate! Each term West House hosts three Community Dinners that bring together members of the House community, usually in the Fahey Hall lounge. We had a great HP Tea this past Friday with our panel on med school and the medical profession, organized by Resident Fellow Sophie Leung. Thanks to Sophie for organizing, and to all our distinguished panelists for a very valuable discussion! Our final House Professor’s Tea of the term will be this FRIDAY, March 3 at 4:30pm with Prof. Vicky May of the Thayer School of Engineering. Interested in majoring in Economics? West House affiliate Prof. James Feyrer (Vice Chair of the Econ Department) will be hosting an evening Q&A in West House THIS WEDNESDAY, MARCH 1 to help answer any questions you might have about the major. More details TBA! Our next West House Community Dinner will be on Sunday, March 5 in the Fahey Lounge. We’ll once again begin with a wine & cheese reception at 5pm (with soft drinks, as well as beer, wine, and cider available for 21+), followed by a catered dinner as usual starting at 6pm. For faculty and staff with families, as usual we’ll have some babysitters lined up so please bring the kids (parents please email me ASAP at Ryan.C.Hickox@dartmouth.edu if you’re interested in taking advantage of babysitting). A reminder that the West House Office on the first floor of Fahey now has its own Keurig coffee machine. 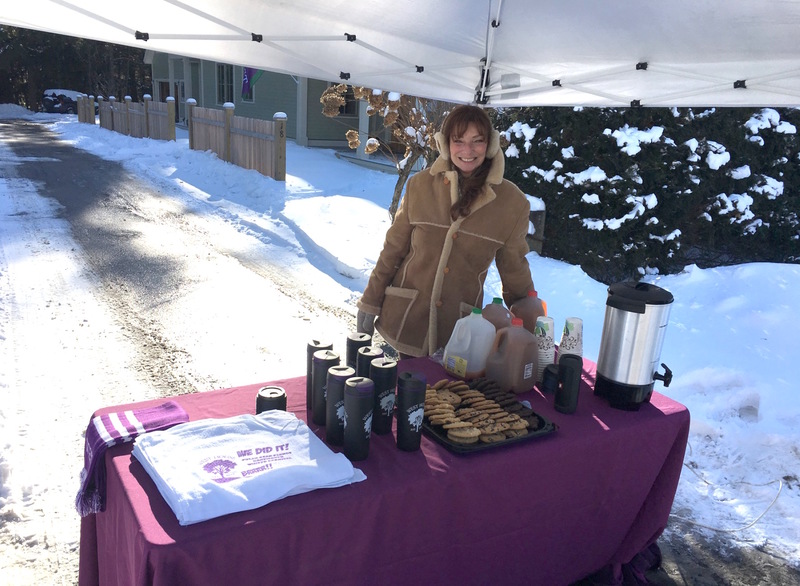 If you’d like to get some (free) coffee, tea, hot chocolate, or cider (or to pick up a House travel mug) just come by the office. Be sure to stop in and say hi to Pamela or Darby! We also will have some new West House apparel that will be available soon – watch this space! West House has available free tickets for House members to attend world-class performances at the Hopkins Center each term. Please see below the list of upcoming performances; a full list of shows for this term is available here. If you’d like tickets, please contact House Administrator Pamela Duffy at Pamela.K.Duffy@dartmouth.edu. There will be no Exec Board meeting tonight, as we’ll be having a House leadership dinner with the UGAs and RFs this week. For faculty and staff with families, as usual we’ll have some babysitters lined up so please bring the kids (parents please email me ASAP atRyan.C.Hickox@dartmouth.edu if you’re interested in taking advantage of babysitting). 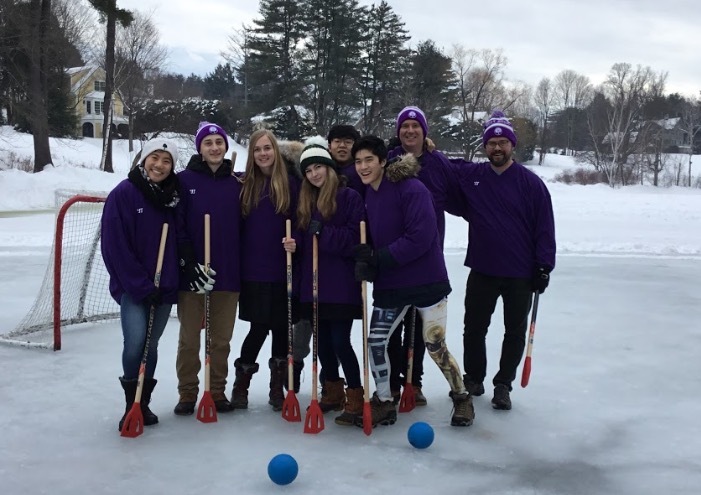 West House once again put together a team for broomball at Winter Carnival 2018. Great fun was had by all (click here for a video of the action)!